I've been travelling to eastern Europe since 1993 when Jo got a job in Bratislava, Slovakia. I love the area, for all sorts of reasons, and am particularly fascinated by how societies emerge from a long period of cultural, political and economic repression. I've just come back from a trip where I was lecturing and teaching in Latvia and Lithuania, two of the 'Baltic Republics'. Latvia was fantastic but what I experienced in Lithuania was extraordinary. “I needed something for the backyard” Lina Liubertaitė recalls. 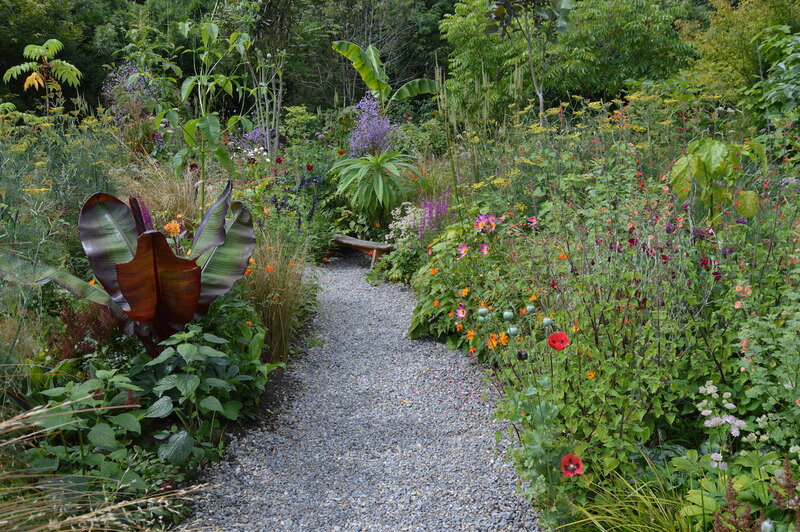 “People here know how to garden, but not how to make it look nice, to design”. And so began one of the most impressive experiments in garden promotion I have come across. Lithuania is a small country in northern Europe, long colonised by Russia under the guise of the communist Soviet Union, and only independent since 1991. Like all ex-Soviet countries, growing vegetables and fruit (with a few flowers on the side) was second nature. It had to be because the shops were often empty. Now there is a new world, of higher living standards, a consumer culture and many entrepreneurial possibilities. “All the information available was so old-fashioned” Lina says. With a background in marketing, Lina saw the possibilities for promoting gardening, and started writing magazine articles and crucially, began to get local experts to run courses. 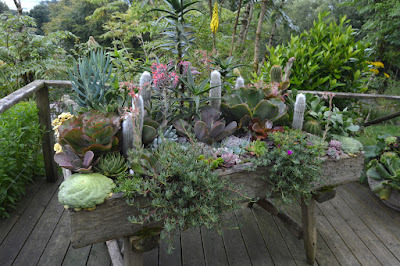 At the beginning it was hard, a young woman in a rather conservative culture faced criticism as a newcomer, and not a professional or trained horticulturalists. Eventually she has triumphed, with her company and brand - GeltonasKarutis – Yellow Wheelbarrow. 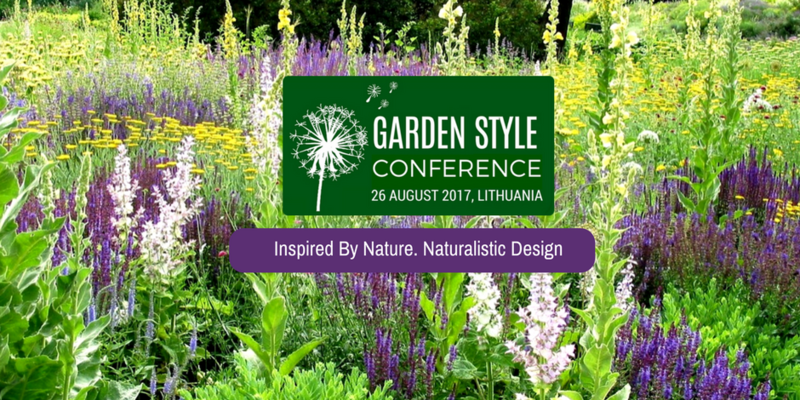 Last week I was one of the speakers at Garden Style, an annual conference Lina has organised for three years now. There were 500 people there, “about half the population” joked a Polish friend (the popn. is actually 2.7million), an incredible number in a small country; a third were professionally involved in gardening or design. Lina gave her conference clout by inviting overseas speakers from year one: Carrie Preston from Holland in year one. The great thing about Yellow Wheelbarrow is that it is a 'one stop shop' for gardening – if you want to know about gardening in Lithuania go to the website. Lina asked me to do some teaching, as her big thing is education. I ended up teaching three day workshops back to back, with twenty people each day. 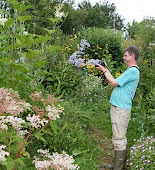 For the first two days I was interpreted by Rasa Laurinavičiene, a very innovative local gardener whose garden in a village just outside the capital, Vilnius, is packed full of perennials. We used the facilities of Vilnius University Botanical Garden, which is an excellent teaching garden with a wide range of plants. As a garden though, it still feels like it does not yet belong in the modern world, Soviet style public gardening - with but in the best possible way, with enough labour to continue to maintain enormous beds of perennials, and mostly very well-labelled. As always with east European audiences the thirst for information was almost palpable and there is that wonderful sense that you are really helping something develop. There were plenty of landscape architects in both the Latvia and Lithuania groups, a good sign that quality planting is part and parcel of larger projects here. 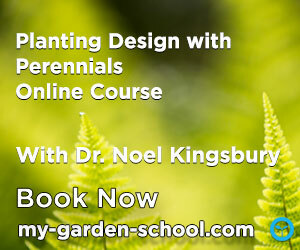 Indeed in both countries perennial combinations perennial plantings are beginning to emerge in public spaces. Places to watch indeed. I recently took a day trip to Dublin, flying there and back in one day, which is not something I have done to anywhere before. To go to Ireland and not drink a Guinness seems sacrilege but sometimes needs must. All for a meeting with Jimi Blake and of course a look around the fantastic garden he has created over the last dozen or so years – Hunting Brook Gardens. I went with Anna Mumford of Filbert Press, as we wanted to talk to Jimi about the possibility of doing a book with him. Jimi's garden is quite amazing. All the more so for its hidden almost unexpected nature. The Irish countryside is, famously, green, not as green as a Boston-Irish St. Patrick's Day hat of course, but a gentle quiet green, so when you drive off the main road up a very undistinguished looking side road up a hill, woodland on one side, and a field of cows on the other, you do not expect to suddenly turn off into a crazily-flamboyant botanico-artistic wonderland. 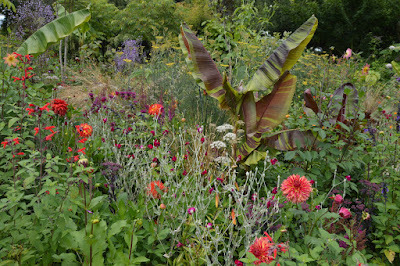 There is something very 'Portland' about the garden: the defiance of obvious climatic boundaries, the combination of rich textures with strong colours, an obvious passion for diversity, the rather whacky sculptural elements – above all a clear love of plants and of things that show them off. Gaining a reputation as one of our most consummate gardeners Jimi will undoubtedly fill the shoes of Helen Dillon, who has been gradually, and needless to say, gracefully, retiring for a few years now. Plantsmanship and a good eye so often do not go together, but with Jimi they do. He seems to have an eye for enough consistency to balance the more pushy and show-offy of his plants; bananas arise from a mass of lower herbaceous leafy stuff but are sufficiently far away from other bold exotica that you don't get the sense of overstimulating clash that you get in the gardens of many exoticists. 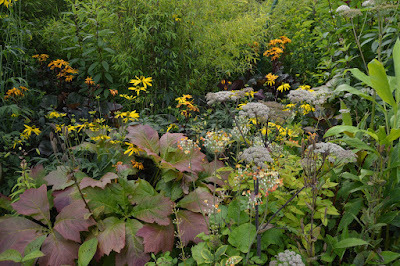 In fact I think it is the combination of an interest in bold foliage and in naturalistic planting that makes Hunting Brook Gardens so good; the frothy chaos of the latter (or what is so often frothy chaos by August) is held together and given focus by the strong forms of the former. 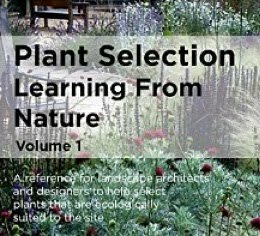 Nurseries and plant hunters seem to be making more and more new cultivars and species available. Of these only a very limited number get a wide circulation. 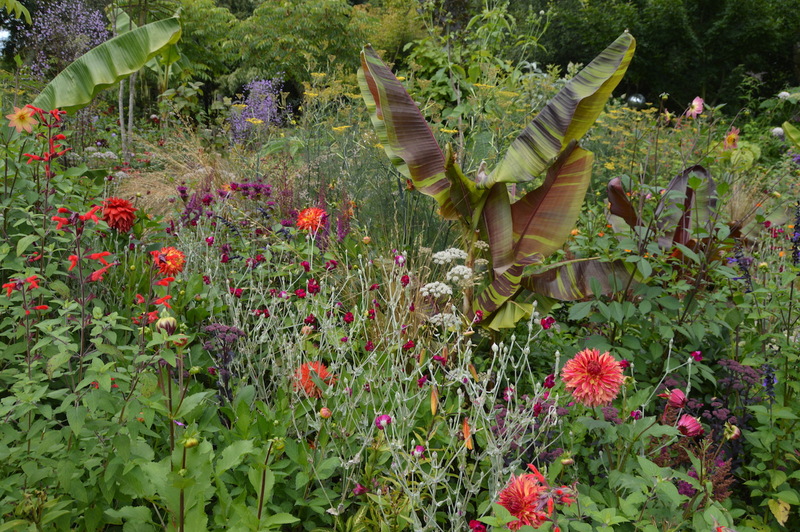 In particular there seems to be a wide gap between the sources of introduction and good creative use in gardens. 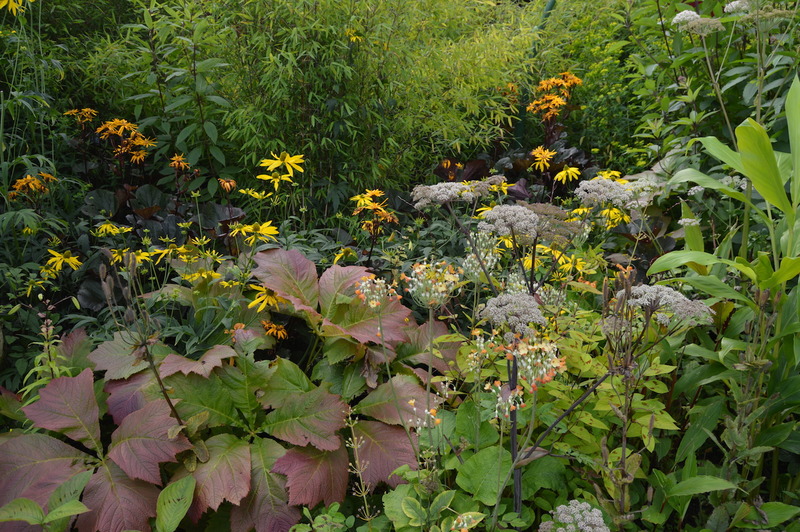 Nurseries and plant producers only have a limited interest in design, and garden designers are rather infamously, often have rather limited plant knowledge. 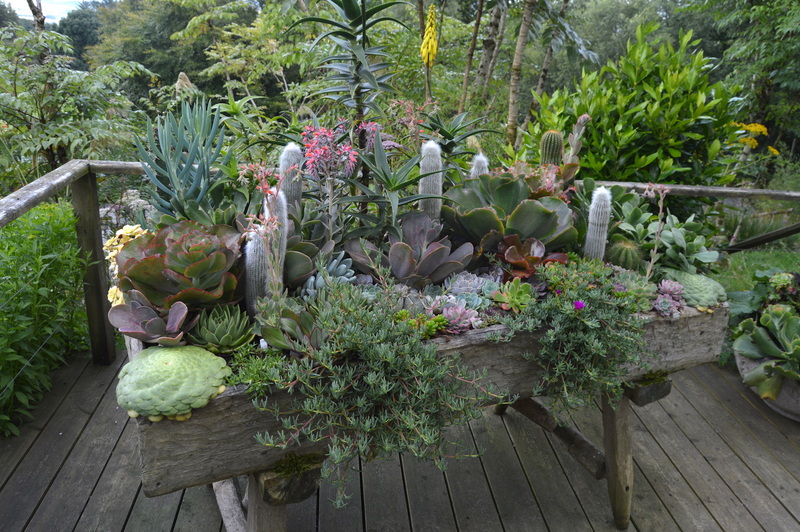 It is people like Jimi who fill the gap, creatively using new plants. The imaginative use of new plants is most dramatically seen in the woodland garden. This is actually the newest part of the garden, or perhaps I should say that there has been a huge amount of new planting over the last few years, which will take a long time to really take off. For example, Jimi has been planting out a lot of the dramatic woodland plants being introduced by Bleddyn and Sue Wynne-Jones of Crûg Farm nursery in north Wales from the Far East and Central America: many are shrubby Araliaceae (ivy family) with big dramatic palmate leaves, ferns, hardy begonias and 'Solomon's seals' (Polygonatum, Disporum etc.). 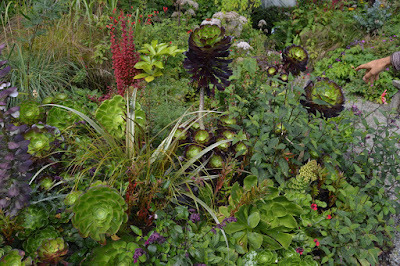 These are overwhelming foliage plants, with a vast array of form and texture around a limited range of greens; subtle but a very long season. Many of these might have potential as urban courtyard planting, but we need to see them in an environment nearer their native habitat first – like Jimi's woodland. Some of the older plantings in the woodland have really taken off, showing what a perfect habitat this is: well-drained soil on slopes, but (it being Ireland) never short of rainfall, high shade from beech and sycamore. 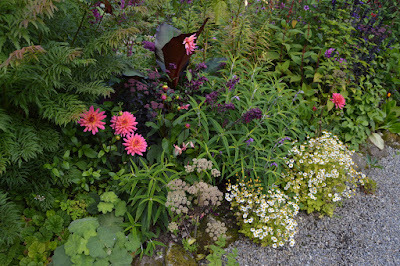 Rodgersias and Chrysosplenium have begun to run forming big patches with self-sowing Primula florindae dotted around. One really important aspect of plant introduction is conservation; natural habitats are being destroyed at a terrifying rate in much of the Far East. 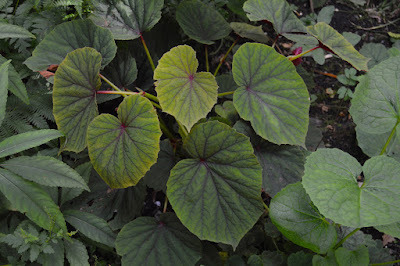 Plant populations are often highly diverse with very localised genetically-distinct populations, which is not something we are familiar with in Europe, where the same species is found in the same habitat across vast areas. Each mountain top may have distinct species or at least clearly distinct populations. In many cases cultivation in the gardens of the western nursery trade and consumer may be the only chance of survival. 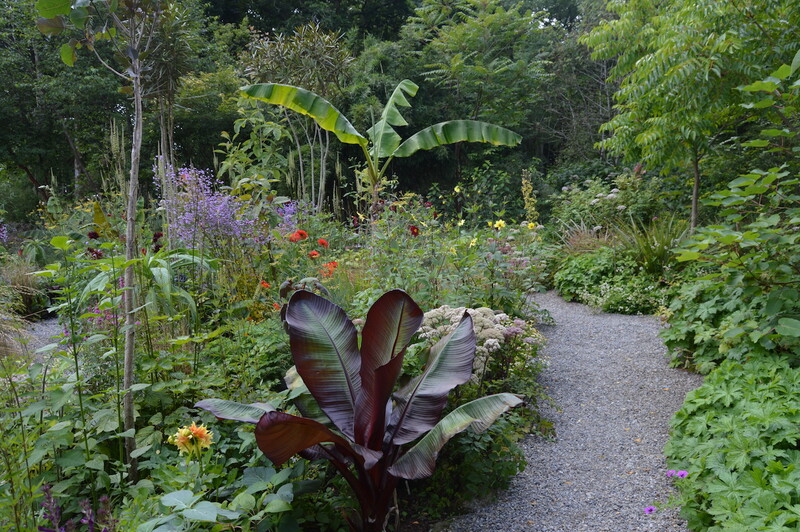 Less than an hour from Dublin, Jimi's garden is perfectly located for easy access. 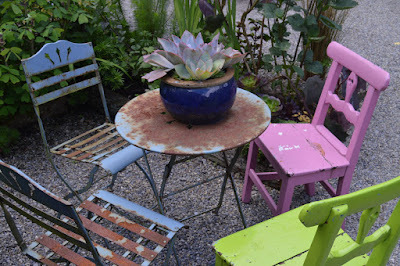 Its a truly inspiring place to meet new plants and see how they might be used, a true R&D department for horticulture.